I wish all my readers a merry x-mas and a happy new year. This time last year, we celebrated a true Danish jul together with my siblings and their families, managing to serve up our own version of the x-masses we remember from our childhood home, complete with pork roast, ris-a-la-mande, live candles on the newly felled pine tree and Santa who delighted most, but terrified one five-year old. On x-mas day we walked through a bright morning with sparkling snow in beautiful, cold sunshine. All up we were 17 people together, ranging in ages from five months to 72 years. A newly felled pine, grown especially to end its life as a x-mas tree with live candles. Photo: Mick. 2014. 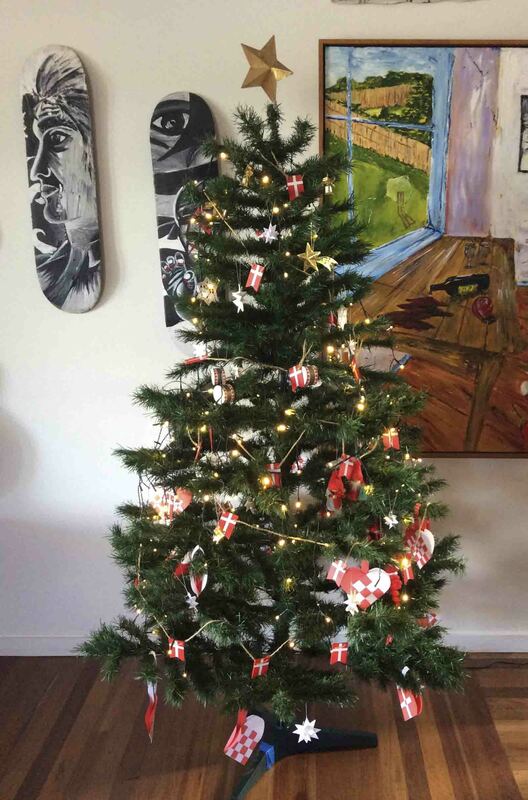 This year, back in Brisbane, we were happy to have both of our boys with us, as well as my husband’s parents and brother, and we celebrated a true Australian x-mas with the home spun traditions we have created over the past 24 years (less the 4 we have been in Denmark for). It involved a seafood feast, pavlova, carol singing from the worn out song sheets, electric flickering light on the old plastic tree and way too much wine. Christmas day followed with severe hangovers in the stifling heat. All up we were seven people together, ranging in ages from 19 to 77 years. The plastic tree from 1996 still works, though the electric candles do not last that long. Photo: Lone. 2015. I love all of my x-masses, whether Australian or Danish. 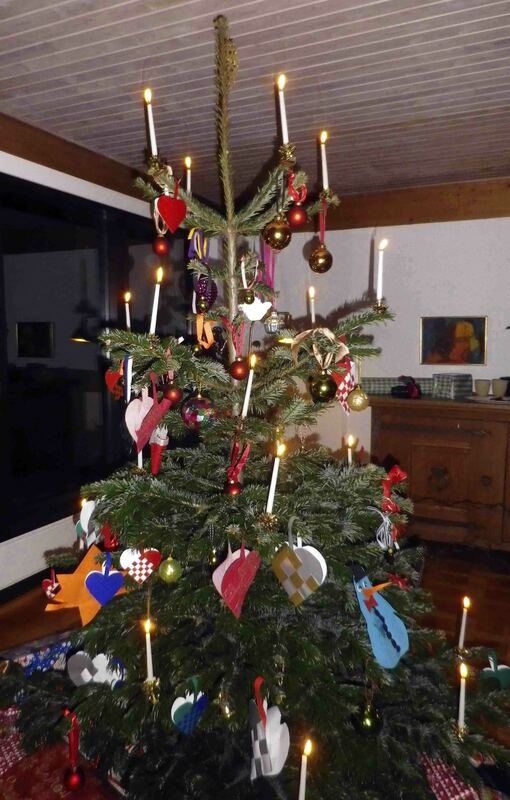 For me x-mas is not a religious celebration, which is why I chose to use the Danish expression jul or the English x-mas. Nor is it about mountains of presents or the compulsory consumer behaviour that leads up to it. It is simply a cultural celebration of love, family and especially children. It is a time, when we take time out to be together to ‘hygge‘. I hope we have given our children happy memories that reflect their cultural heritage and will shape the way they will celebrate with their own children in the future. I hope you are spending this special time in a way that makes sense to you. This entry was posted in Australia, Denmark and tagged Australia, children, christmas, Denmark, family, jul, love, Memory, Santa, x-mas on December 25, 2015 by lonebonekaffekone. Sounds like a lovely day. 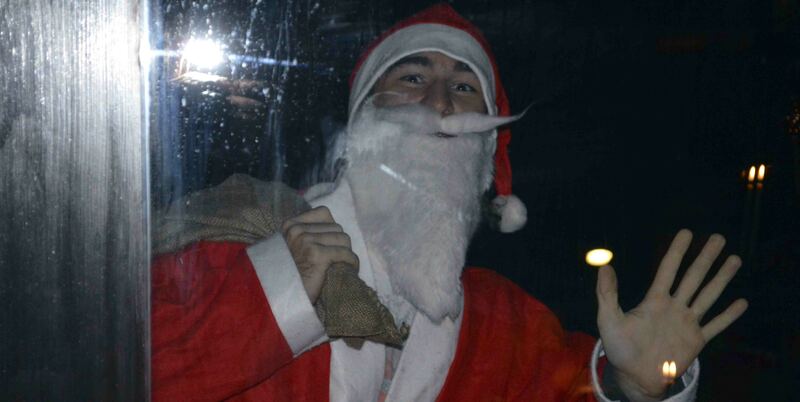 Happy Christmas Lone! Thanks! Merry xmas to you and your family too, Iona.